A TOTAL OF 12 homeless families with over 30 children were told to present to Garda stations on Tuesday night, as there was nowhere else for them to stay. Homeless charity Focus Ireland said that a number of homeless families presented at its coffee shop on Eustace Street on Tuesday looking for help in sourcing accommodation. Focus said that on average about 25 to 30 “self-accommodating” families go to the coffee shop daily for assistance. These are families who are deemed homeless and have to try source their own hotel accommodation on a daily basis, which the council then pays for. On this occasion, 12 families were unable to source any accommodation. A number of emergency beds in homeless hostels were also full. “The only option for these families was that they could go to a Garda station,” said Mike Allen, director of advocacy with Focus Ireland. Allen said that before this incident so far there had only been one night where a single family couldn’t source any accommodation. “Never even in the worst circumstances have we had this number,” he said. To have to say that to 12 families is absolutely shocking and unprecedented. Allen said that of the 11 families, three said they slept in Fairview Park in north Dublin, another presented at Finglas Garda Station but weren’t given shelter and slept in the offices of homeless community organisation the Inner City Helping Homeless. Allen said that Focus had reconnected with 11 of the 12 families yesterday and that he believed they had sourced available accommodation last night. He said that the laws around who was responsible for housing children and families in this situation were too vague and needed to be clearer. “We’ve been saying for more than two years that what is required from local authorities in this circumstance is very unclear,” said Allen. We need clear guidelines from the Government on this. In a statement, the Dublin Regional Homeless Executive – which manages homeless services across the Dublin region – said that it was aware that seven families had presented to Garda stations. 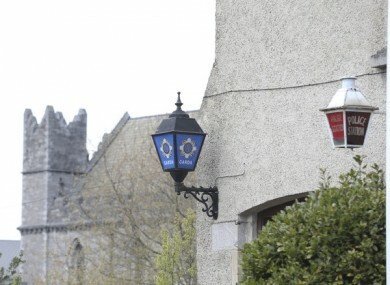 A spokesperson said that there was a protocol in place whereby if families are unable to source accommodation they are brought to Garda stations. The spokesperson said that as of last night Dublin City Council had doubled the volume of emergency contingency capacity of beds available to any family presenting out of hours in need of accommodation. Email “12 homeless families with over 30 children told to present to Garda stations as there were no beds for them ”. Feedback on “12 homeless families with over 30 children told to present to Garda stations as there were no beds for them ”.